group of sons and daughters. raise large calves and stay in great flesh themselves. 3. 46P continues to win friends in both registered and commercial herds. 4. The progeny we are seeing are not being culled; they are making the replacements expected when using AI programs. 5. 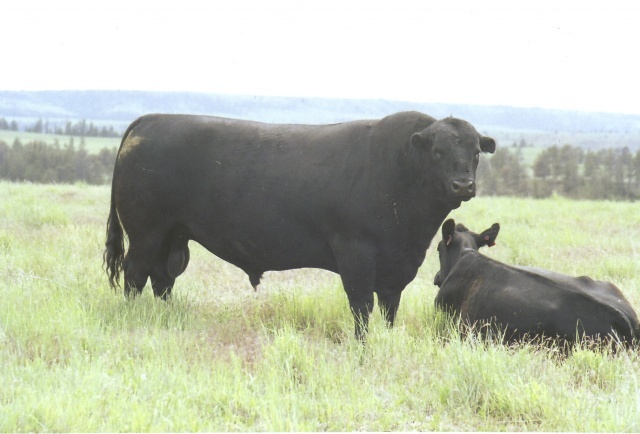 He is a + EN bull and many of our breeders are retaining the females in their own herds.